How does a give away sound today? I think Wednesday is a lovely day for such a thing, especially when it's from Shabby Apple! I love their lovely women's jewelery and vintage dresses. It's always a lot of fun to peruse their website and take a mini shopping break! I'm really excited to share this giveaway with you! 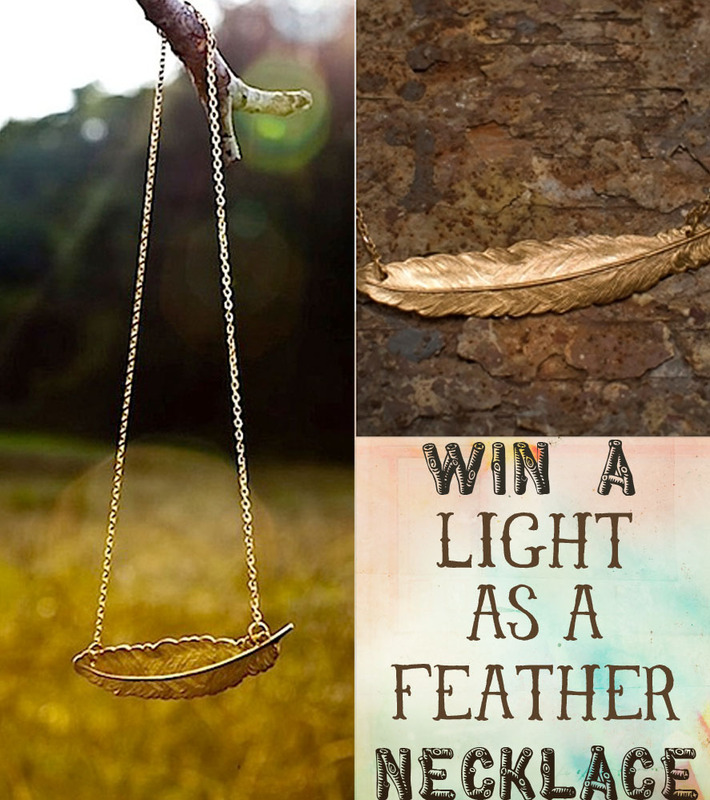 I hand picked a piece of jewelry for one of my sweet readers to win! How does a little feather necklace sound to you guys? Right? I just loved this one so much and I knew you guys would enjoy it too! Exciting!! So, how do you win this totally rad necklace? The giveaway will be open for one week from today, so have your entries in before the 25th! This is also open only to US Residents. And, if that isn't good enough you can use the coupon code "shannonbear10off" to save 10% for the next month and grab some great deals! And our winner is Crazee Cat Lady! Congratulations! and i like SA on FB. my favorite item...hmmm...i'm obsessed with every piece of their 65 collection! I follow Shanon Bear through GFC, I'm Raindrop. My favourite item by SA is the Key to Wonderland. I follow your blog via GFC/Google Reader! I love the Chickaree dress! IT is my favorite! I'm a follower of Shannon Bear! This necklace is wonderful. I follow you always and forever. i defintely follow this girl! My favorite is the Trade Winds dress from shabby apple! my favorite item is the turchino necklace! I love BOUTONE DE ROSE # 35 dress. It is so classy. i most definitely follow you! I love the Maize Dress ! Liked Shabby Apple on FB!! I like SA on FB! I love the dress Billie! I absolutely adore the Nantucket dress from Shabby Apple!